Spotting Dyslexia May Be Possible Even Before Kids Learn To Read : Shots - Health News Children with dyslexia have problems with visual attention in kindergarten, according to new research. This could lead to helping children with dyslexia long before they learn to read. 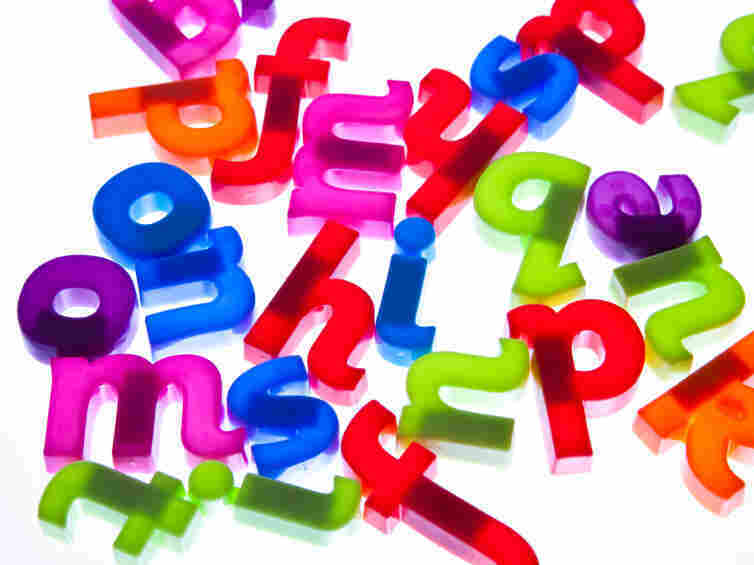 For people with dyslexia, problems recognizing words can make life difficult. Children usually aren't diagnosed until elementary school, when it becomes clear they're struggling with reading. But scientists say it could be possible to diagnose and help kids much earlier by identifying problems with visual attention — long before they learn to read. Scientists have argued for decades about why 10 percent of the world's population has dyslexia. Theories include difficulties recognizing chunks of words or problems processing visual signals or issues ignoring extraneous sounds. People with dyslexia are often bright and verbal, but have trouble with the written word. Many programs have been devised to help children and adults with reading difficulties, but none solves the problem. Since learning to read is such a big part of early childhood, it makes sense to think that identifying children with dyslexia as preschoolers, before they learn their ABCs, could lead to new and better ways to help. But how to test reading ability in children who can't read has remained a barrier. Researchers at the University of Padua in Italy say kids who have problems with visual attention in preschool are most likely to have difficulty reading later on. The scientists tested 96 kindergartners who hadn't yet learned to read, asking them to identify specific symbols amid distractions. The youngsters also were asked to identify syllables, name colors quickly and remember things they were told. Researchers continued to test the children over the next two years as they learned to read. The kindergartners who struggled with the visual attention test were the ones who later had trouble with reading. The results were published in the journal Current Biology. If preschoolers are screened with a simple visual attention test, the researchers conclude, children with dyslexia could get help much earlier and potentially avoid years of struggle in school and adulthood. Indeed, many adults with dyslexia were never diagnosed as children. Pulitzer Prize-winning poet Philip Schultz says he figured it out only after his 7-year-old son was diagnosed with the learning disorder. Schultz told NPR's Audie Cornish that he didn't learn to read until he was 11. He still has to be very selective in what he reads, he says, because it's so painful. "The actual neurological — if I may use that word — act of reading, I don't enjoy," Schultz said. "I have to often read the same sentence over and over before I understand it. And I have to convince myself that what I'm reading is so enjoyable and so exciting and so good for me that it's worth the effort." Other research has shown that entrepreneurs are far more likely to have dyslexia. One theory is that they develop formidable skills at working with people to compensate for their problems communicating using the written word.